"Hey! Do you want to go on a Dairy Quest?" That's what I call this place, rather than by its given name. 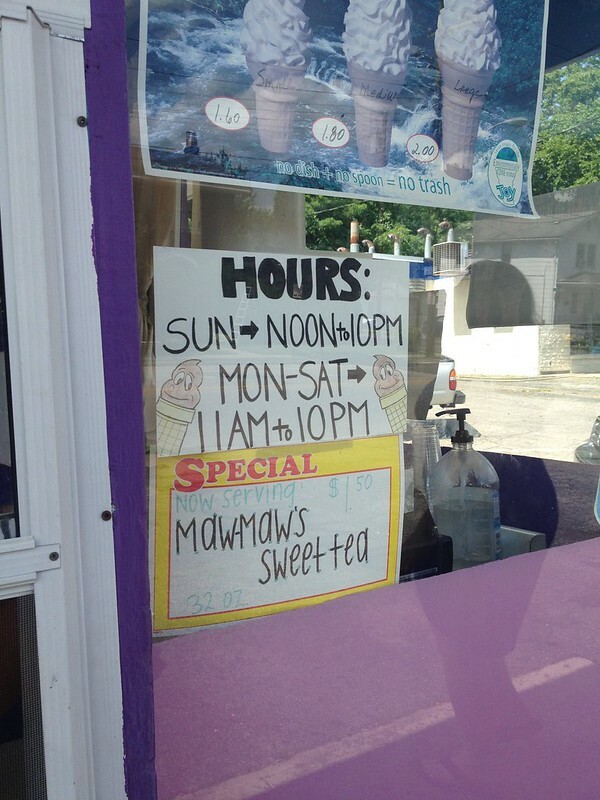 Who doesn't want to quest for ice cream? Located about a mile down the road from Walmart in Fort Wright, Dari-Crest stands out at the intersection of Madison Avenue and Latonia Avenue with its pastel pink and purple exterior and hand-painted signage. 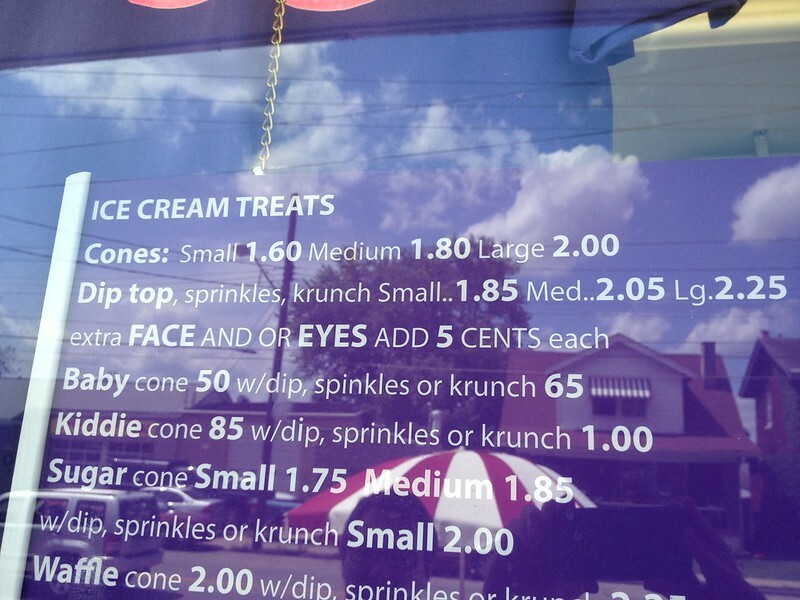 This creamy whip looks like it has been around since the 1970s and serves up sundaes and all kinds of soft serve. There are about 50 different flavors to choose from pistachio to apple pie. 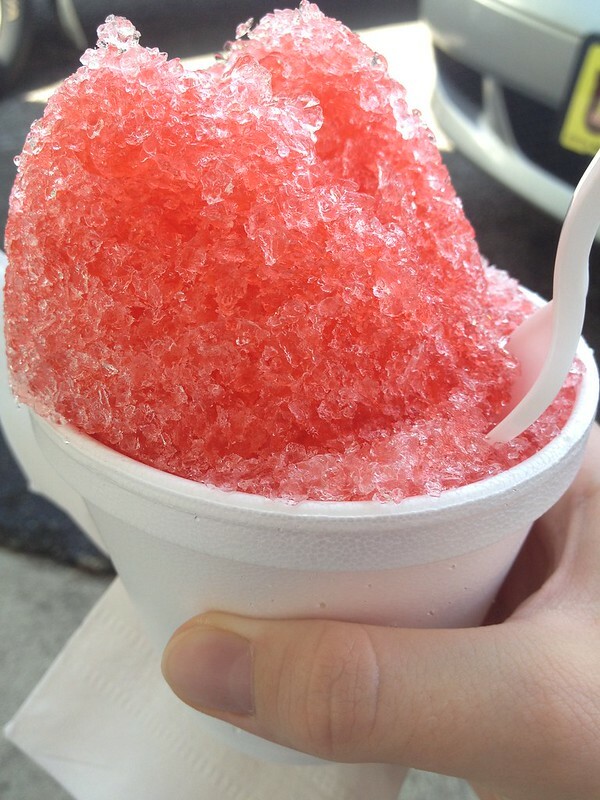 My favorite is the ice cream slush: vanilla soft serve swirled inside an ice cold fruit slushie. 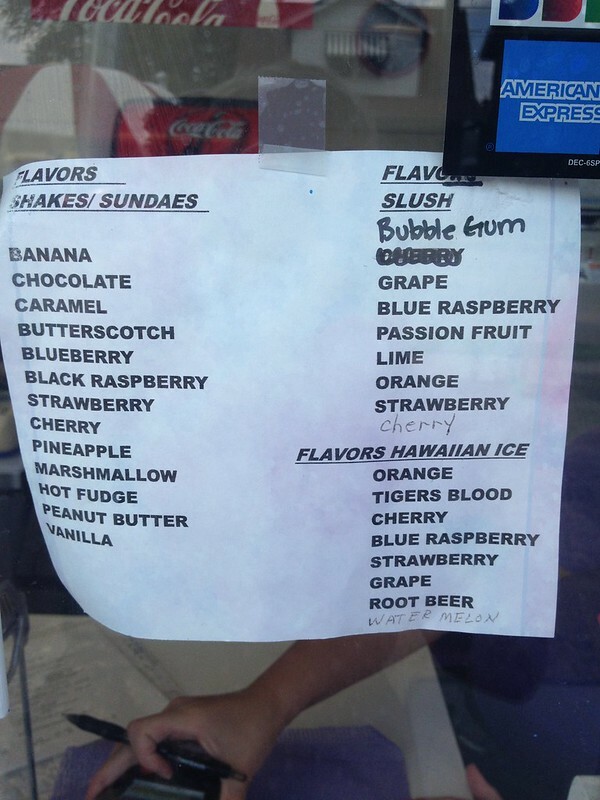 They also serve Hawaiian Ice with or without ice cream. 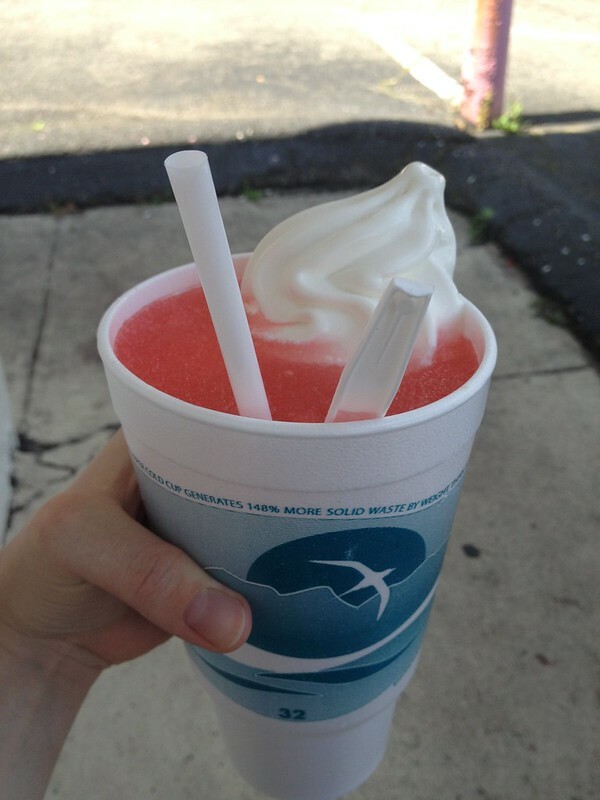 A 32oz Passion Fruit slushie with vanilla soft serve. 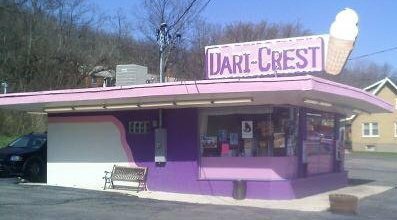 Dari-Crest prefers cash, but is newly accepting credit cards. 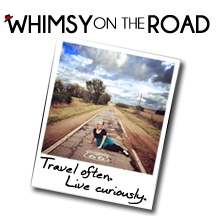 There is ample parking in the lot, as well as benches to sit and enjoy your treat. With a creamy whip boasting an icon of an ice cream licking itself, Dari Quest is guaranteed goodness.